An exciting development in the field of alopecia areata research may soon mean that there is a treatment option for children whose hair loss has been caused by the condition. At present, severe forms of the autoimmune disorder – alopecia totalis and alopecia universalis – cannot be treated effectively in adults or children. Where the scalp-only form is concerned, alopecia areata treatment is only available for medically suitable people aged 16 and over, meaning that children – who arguably have the roughest time in terms of involuntarily standing out from the crowd because of the bald patches the condition causes – are woefully underserved. A company named HCell based in Austin, Texas, aims to change all that with its pioneering research into a new injectable treatment aimed specifically at children with alopecia areata. Its drug is currently named HC017AA and – perhaps unsurprisingly – its makeup is something of a closely-guarded secret. What is known at this stage is that the drug is being developed for use as a topical injection and aims to regenerate hair through a proprietary blend of commercially procured biologic and autologous tissue. 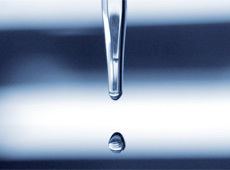 The project was given a significant boost in January when it was granted Orphan Drug Designation by the FDA in America. The FDA Office of Orphan Products Development evaluates scientific and clinical data submissions from sponsors to identify and designate products as promising for rare diseases and to advance their scientific development. Orphan Drug Designation allows HCell to be eligible for a seven-year period of US marketing exclusivity if its drug is approved. Said Jae Hyun Lim M.D., Ph.D, Co-Founder and Chief Science Officer at HCell: “We are working diligently to prepare for the clinical study for this significant, yet unmet, medical need for alopecia areata in paediatric patients.” HCell – a name new to Belgravia – is also working on another product named HC0100, which is intended to treat genetic baldness. The news of HCell’s ambitions is to be applauded, as the notion of helping children to avoid having to go through the worry associated with alopecia areata is something very dear to many hair loss specialists’ hearts. It is unfortunate that HCell’s plan at present is based around injections into the scalp, as this could naturally be quite distressing to children. Frustratingly, many treatments for alopecia areata in adults do not normally use this method. 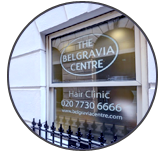 At Belgravia, tailored treatment courses typically involve formulations of topically-applied high strength minoxidil from those available at the clinics’ in-house pharmacies. This drug opens up the potassium channels in the scalp and in doing so can encourage regrowth. 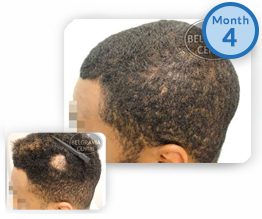 It has proven to be an effective strategy in combating alopecia areata in many cases for suitable men and women aged 16 and over, as can be seen in Belgravia’s Alopecia Areata Treatment Success Stories. For those with the currently un-treatable, severe forms of autoimmune alopecia or who are under 16 years of age, the best hair loss solution is often a wig. The much-loved British charity, Little Princess Trust offers real hair wigs free of charge to children. These are produced from donations – both monetary and hair donations – made by members of the public, including celebrities such as Harry Styles and Jessie J.